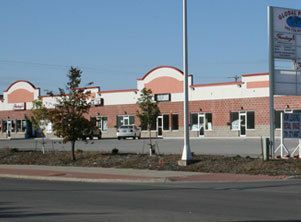 High visibility retail space on 25th Street South next to Town and Country Credit Union and the Hub. Plenty of on site parking. New monument sign just installed. This end cap is partially fit up for a restaurant business.